An easy to make refreshing adult drink for summer! Made with triple sec, vodka and rum, this is a sweet concoction that is sure to go down smooth and easy at your next party! 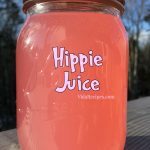 I love hippie juice! It tastes amazing and it’s easy to make! It’s a great drink for summertime, it’s so popular with everyone! Enjoy! You can also check out my 70 JELLO SHOTS and Strawberry Margarita Jello Shots recipes! Mix it up in a Mason jar and ENJOY! Do you add soda or juice to the mixture? I make this for all of our get togethers. We love it!! One bottle of watermelon vodka will make 3-4 quarts. I only make 3 and add a little extra vodka to each quart. Being an older guy ( a hippy )…lol. .. 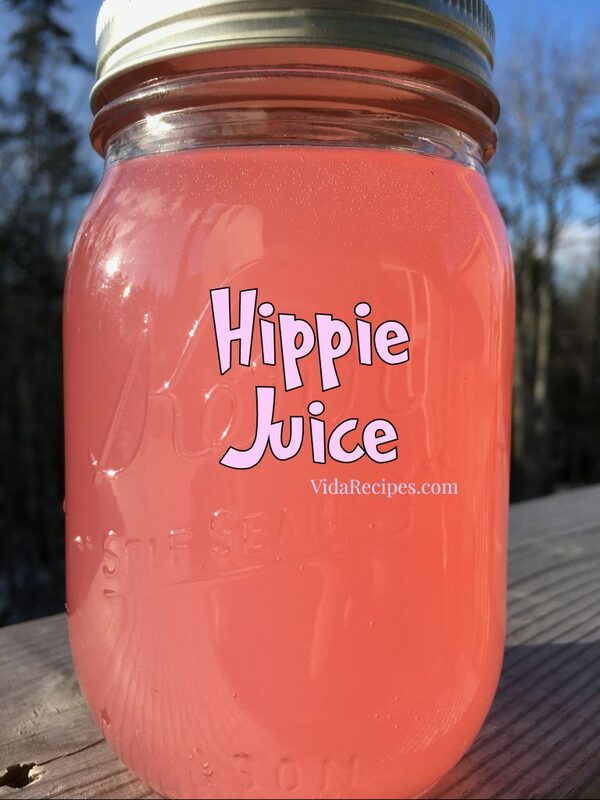 I made a batch of Hippy Juice to take to a “get-together” at an old friend’s place last summer. It is a “HIT”, everyone there tried it,..put down their beer, and came back for seconds, thirds,etc…I highly recommend this as a crowd pleaser,..
….makes Suzie’s pinapple upside down cake take a back seat! Sounds like a very good vacation drink to take to the beach! Plan on trying it first week in May.